Alec Finlay is an internationally recognised artist, poet and publisher whose work crosses a range of media and forms, from sculpture and collage, to audio-visual, neon and new technologies. Born in Scotland in 1966 and currently based in Newcastle, England, much of Finlay’s work reflects on our interaction with nature and considers how we as a culture, or cultures, relate to landscape. 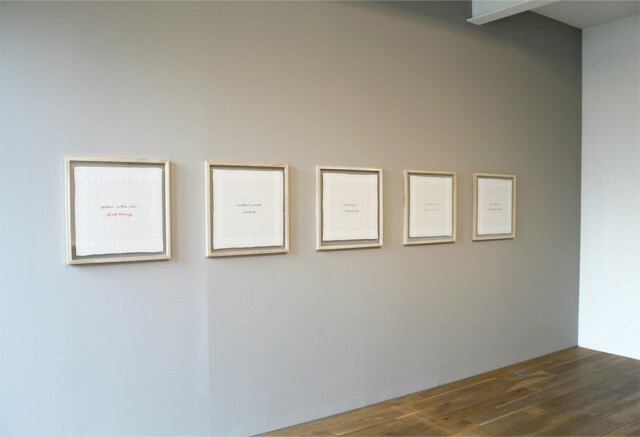 Alec Finlay was exhibited in the group exhibition Counterpoint at Talbot Rice Gallery, Edinburgh as part of GENERATION: 25 Years of Contemporary Art in Scotland from 1 August - 18 October 2014.